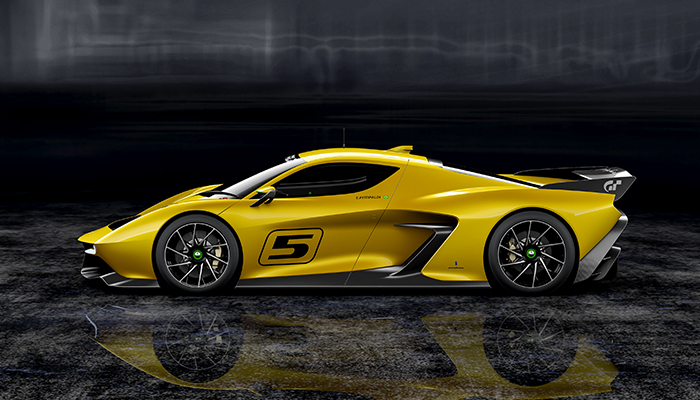 The EF7 Vision Gran Turismo by Pininfarina will have a limited production with every EF7 owner having the opportunity to benefit from personal coaching by Emerson Fittipaldi himself and move up a driver-training ladder designed by the racing champion. In addition, owners will be able to join the Fittipaldi Racing Club which will provide exclusive VIP high-performance driving and racing experiences at some of the world’s premier racing circuits, led by Fittipaldi and other racing professionals. Owners will also have bespoke customization options to personalize their EF7 complete with car interior and exterior options, multiple wheel options and personal Pantone color and racing numbers, along with Emerson Fittipaldi signature branding placement selections. Meanwhile, supercar fans and video game enthusiasts will have the opportunity to experience the EF7 in the virtual world where it will be exclusively available in the upcoming PlayStation®4 videogame, Gran Turismo Sport™. The highly anticipated title from Polyphony Digital Inc. will bring a new era to racing games through its accessible single player and online game modes, including the brand new FIA Gran Turismo Championships, created in partnership with the Fédération Internationale de l'Automobile. The FIA Gran Turismo Championships will create an exciting new platform for motorsports, and the virtual EF7 Vision Gran Turismo by Pininfarina will be a part of this, featuring exactly the same characteristics as the real track car. What’s certain is that in both the real and virtual worlds, the Fittipaldi EF7 Vision Gran Turismo by Pininfarina will provide an unparalleled racing experience for drivers of all skills levels. “Together we have built the Fittipaldi EF7 Vision Gran Turismo by Pininfarina enabling lady and gentlemen drivers around the world to truly experience a new level of racing euphoria and passion and push beyond their limits on the most prestigious race circuits worldwide,” added Emerson.